A decade ago, with unemployment hovering near double digits and its economy flagging, the state faced one of two choices: Either continue with the status quo, or shake things up. Under the leadership of its then newly elected Gov. C.L. “Butch” Otter, the Gem State chose the latter, and what transpired next changed the course of Idaho history. By lowering taxes, streamlining regulations, curbing government spending and reorganizing the Idaho Department of Commerce to make it more proactive, Gov. Otter and his administration set in motion a wave of economic renewal that has not abated since. The proof is in the performance. Since January 2007, the unemployment rate in Idaho has fallen from 9 percent to 3.8 percent. Thanks to reforms enacted by Otter, Chief Executive magazine named Idaho the No. 1 Living Environment in 2015. Other rankings attest to this turnaround: Kiplinger ranked Idaho No. 1 in Fastest Job Growth. CompTIA ranked Idaho No. 2 in Tech Sector Growth. CNBC ranked Idaho No. 5 in Business Friendliness. Entrepreneur Magazine ranked Idaho No. 6 in Small Business Startups. By investing into education at all levels, particularly community colleges and four-year universities, Idaho positioned itself to be a dominant player in computer science and technology. Driven largely by growth in tech-sector jobs, Idaho was first in the nation for employment growth in the October 2015 and March 2016 job reports by the US Bureau of Labor Statistics. Idaho added 4,891 jobs since July 1, 2014 thanks to the Tax Reimbursement Incentive. Expansions and relocations include companies like Albertsons, SkyWest Airlines, Amy’s Kitchen, and Kochava. 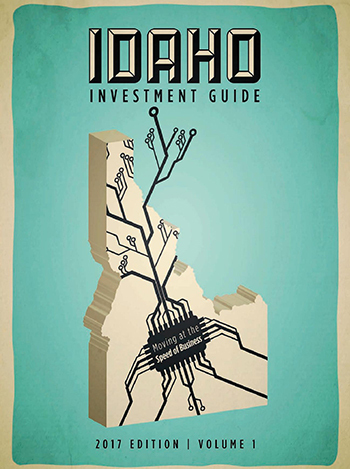 Idaho excels by playing to its strengths, focusing on its targeted industries of aerospace, advanced manufacturing, energy, food production, outdoor recreation and technology.